Lung cancer is the most common and most deadly form of cancer, accounting for 27% of all cases. This year, an estimated 224,210 Americans will be diagnosed with lung cancer. Almost all of us can probably think of a family member or friend who has been affected by the disease in some way. 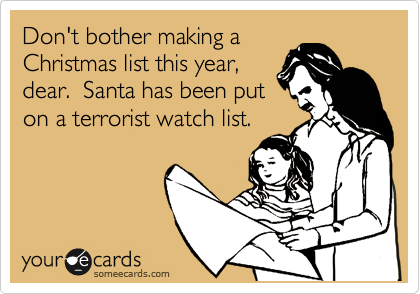 Keep that in mind when you read this next stat: last year, the U.S. government added 468,749 to the terrorist watch list. That’s more than double the number of people who will be diagnosed with lung cancer this year. Here’s another way to think about it. Last year, the most sold car in the U.S. was the F-150, selling 521,515 units. Imagine 9 out of every 10 people who bought a new F-150 last year was put onto the terrorist watch list and you get an idea of just how quickly names are being added. On average, more than 1,284 names were added to the watch list every day last year. And that number has only been rising in the past couple of years. In 2009, 227,932 names were added to the database. In fiscal 2010 it was 250,847. In 2012, it was 336,712. About 99% of the names submitted to the list are accepted, prompting many to criticize the system for being extremely loose with its classifications. 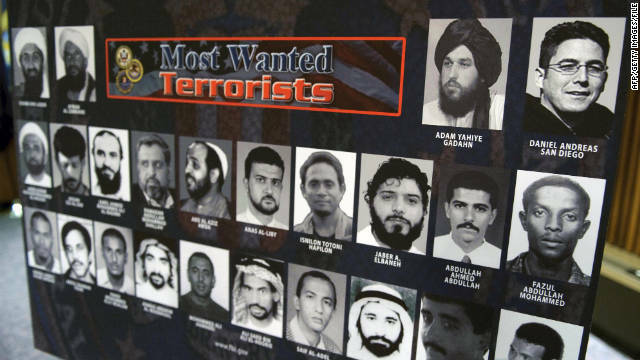 The figures were revealed in a hearing in Virginia on Friday involving a case from the Council on American-Islamic Relations (CAIR) which challenges the Constitutionality of the no-fly list. In their defense, counterterrorism officials pointed out that names are regularly removed from the list as well. As of August 2013, there were about 700,000 names on the list.